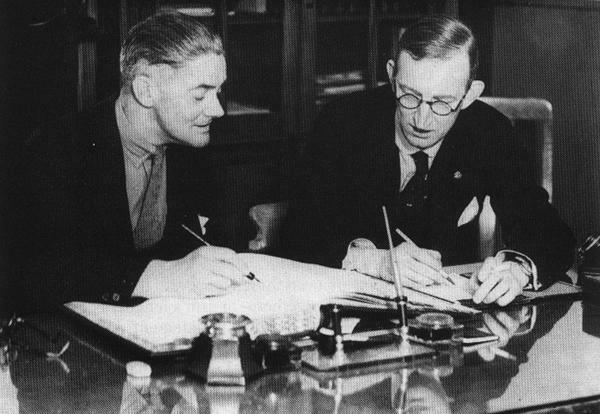 William Morris (left) and Leonard Lord (right) studying accounts ledgers in 1933. IN the early part of the 20th century, among the green and pleasant meadows to the South of the dreaming spires of Oxford City, there was an unussuming village named Temple Cowley. In one corner of this village there was a large, delapidated building that had once been a military college this had been left unused for about 20 years, until William Richard Morris, 36 year-old garage owner and former champion racing cyclist, decided to continue his progression from building cycles and motorcycles, then selling cars, to become a car manufacturer himself. WRM Motors of Oxford was registered in October 1912 with Morris as the managing director, the Earl of Macclesfield, holding £4000 of preference shares taking the title of president. The company took over the former college at Temple Cowley, and started converting it into a car factory. Production began here with a staff of 12, including Morris and his father. During the next 72 years, the name Morris became synonymous with the British car industry, producing some of the nation’s best loved cars. The empire that William Morris (later Lord Nuffield) built up was enviable, and included the evocative names of SU and MG. When it joined with Austin to become BMC in 1952, it’s future would be determined by BMC chairman Leonard Lord – the ex-Morris managing director, who left for Austin in 1936 vowing to destroy Morris. In the end, Lord retained the Morris name and Nuffield dealer network, but BMC’s centre gravity was firmly planted at the Austin factory at Longbridge. He may not have destroyed Morris as he had vowed, but decisions made during his rein at the top of BMC did not do the Morris marque any favours, either… After years of neglect (and a false new beginning in 1971 with the Marina), Morris quietly passed away in 1984. The garage business run by W.R.Morris for several years at Longwall, Oxford, became the Morris Garage. The Morris Garage became the Morris Garages when additional showrooms were acquired. March The first Morris car, a ‘White & Poppe’ Morris Oxford, was assembled in a factory at Cowley. July W.R.M.Motors Ltd. was dissolved, primarily to get rid of two restrictive agency contracts, and Morris Motors Ltd. was formed. January W.R.Morris bought Osberton Radiators Ltd. of Oxford and the vehicle body builders, Hollick & Pratt, of Coventry. May W.R.Morris bought the engine and gearbox manufacturers, Hotchkiss et Cie., of Gosford Street, Coventry, and formed Morris Engines Ltd.
July The Morris Company Ltd was registered as a holding company for W.R.Morris’s investments. January W.R.Morris bought the axle, gearbox and steering gear manufacturer, E.G. Wrigley & Co. Ltd. of Birmingham from the receivers and formed Morris Commercial Cars Ltd. to make ‘purpose built’ commercial vehicles. The companies that W.R.Morris bought between Jan 1923 and Jan 1924 had all been suppliers of components to W.R.M.Motors Ltd and Morris Motors Ltd. By 1924, W.R.Morris had turned his business from an assembler of motor vehicles to a manufacturer of them as, by then, his companies were able to make engines, gearboxes, axles, steering gears, vehicle bodies, radiators, etc. October The Societe Francaise des Automobiles Morris was formed to handle the sales of Morris Cars in France. December W.R.Morris bought the assets of the French car manufacturer, Leon Bollee, including their factory at Le Mans, and the business was taken over by his French sales company which was renamed the Societe Francaise des Automobiles Morris Leon Bollee. The manufacture of Morris Leon Bollee vehicles commenced. August The Morris Oxford Press Ltd. was established at Cowley as a subsidiary of Morris Motors Ltd to print sales and service literature and the ‘Morris Owner’ magazine. W.R.Morris arranged for Morris Motors Ltd, the Budd Co. of the USA and Merchant Bankers, J.Henry Shroder & Co to finance and establish the Pressed Steel Co. of Great Britain Ltd., at Cowley, to make metal pressings / car bodies. (BMW now use the ‘old’ Pressed Steel factory at Cowley to make MINIs). June Morris Motors (1926) Ltd., (the 1926 was dropped from the company’s name in 1929) was registered to acquire Morris Motors Ltd., Osberton Radiators Ltd., Morris Engines Ltd. and Hollick & Pratt Ltd. The last three companies then became branches of Morris Motors (1926) Ltd. Preference Shares to the value of £3 million (about £120 million at 2005 values) were issued to the public for cash by Morris Motors (1926) Ltd. All of the Ordinary Shares were held by W.R.Morris, who then began his activities as a generous benefactor. December W.R.Morris bought The S.U. Company Ltd. and then moved the business from London to Birmingham. (S.U. carburetters were fitted to all Morris cars from Oct. 1927). February W.R.Morris bought a coal mine in the Forest of Dean, to alleviate unemployment in a depressed industry, and formed Morris Collieries Ltd. The venture was not a success and was wound up within two years. June Morris Industries Ltd (M.I.) was formed to acquire the S.U. Co. Ltd and took over the Morris Co. Ltd. M.I. acted as a holding / investment company for W.R.Morris. Much of the £3 million from the sale of Preference Shares was held by M.I., which then became the financial hub of W.R.Morris’s business and, in effect, a private bank. July The Morris Garages was incorporated and became The Morris Garages Ltd.
July The M.G. Car Co. Ltd. was registered to take over the production of sports cars from The Morris Garages Ltd., in a factory in Abingdon. The assets of Societe Francaise des Automobile Morris Leon Bollee were sold and the company was wound up. July Morris Industires Exports Ltd was registered to take over the export departments of Morris Motors Ltd., Wolseley Motors (1927) Ltd., the M.G.Car Co. Ltd. and Morris Commercial Cars Ltd., with new premises at Cowley. Sir William Morris Bt., was created Baron Nuffield, taking the name from a village in Oxfordshire near to his home, and from then on he was known as Lord Nuffield. Thereafter, the Morris Group of companies became known collectively as the Nuffield Organisation. June Wolseley Aero Engines Ltd was registered to take over the aero-engine manufacturing side of Wolseley Motors Ltd.
July Morris Motors Ltd bought Wolseley Motors Ltd and the M.G. Car Co. Ltd.
September The S.U. Carburetter Co. Ltd., was formed to take over the S.U. business from Morris Industries Ltd.
October Morris Motors Ltd bought Morris Commercial Cars Ltd, Morris Industries Exports Ltd. and the S.U. Carburetter Co. Ltd. Lord Nuffield sold 1/4 of his Ordinary Shares in Morris Motors Ltd to the public (he retained 3/4 himself) and bestowed the capital into trusts, benefactions, schemes to benefit his employees etc. Wolseley Motors Ltd , the M.G.Car Co. Ltd, Morris Commercial Cars Ltd , Morris Industries Exports Ltd and the S.U. Carburetter Co. Ltd were all owned separately by Lord Nuffield until they were bought by Morris Motors Ltd. After Oct 1936, the only companies left in Lord Nuffield’s personal ownership were Wolseley Aero Engines Ltd and the Morris Garages Ltd.
January Nuffield Mechanizations Ltd was formed for the manufacture of tanks and munitions in Birmingham, and later in Coventry, and then combined with Wolseley Aero Engines Ltd to become Nuffield Mechanizations and Aero Ltd.
September Lord Nuffield bought Riley Motors Ltd of Coventry, and then sold the business to Morris Motors Ltd. for £100. Lord Nuffield was created a Viscount, but he remained universally known as Lord Nuffield. September Nuffield Mechanizations and Aero Ltd became Mechanizations and Aero Ltd.
September The Morris Oxford Press Ltd became the Nuffield Press Ltd.
Mechanizations and Aero Ltd became, once again, Nuffield Mechanizations Ltd.
November Nuffield Tools and Gauges Ltd was established in Coventry to manufacture jigs, fixtures and tools for the Nuffield Organisation. April The Nuffield Foundation was set up with an endowment of £10 million of Shares from Lord Nuffield. October The Morris Garages Ltd acquired the vehicle body builder Charles Raworth & Son, Ltd.
July Morris Industries Exports Ltd became Nuffield Exports Ltd.
September Nuffield Metal Products Ltd was formed and was incorporated with Morris Pressings Branch, which had been established in Birmingham in 1939, to make metal pressings / vehicle bodies. July The foundry of Thomas Butlin & Sons at Wellingborough was acquired to supplement supplies of castings from the foundry at Morris Motors Ltd Engines Branch, Coventry. 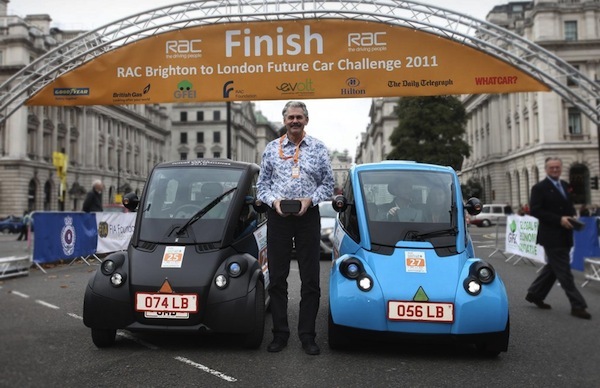 April The Nuffield Organisation and the Austin Motor Co. Ltd. merge to form the British Motor Corporation (BMC). 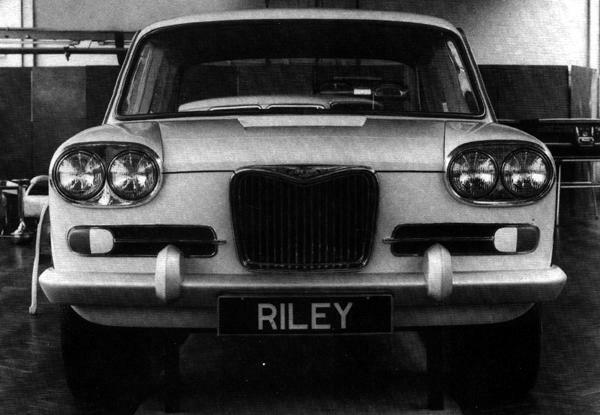 This brought the Austin, Morris, M.G., Riley, Wolseley and Morris Commercial marques into common ownership. Lord Nuffield, then aged 74, became the Chairman of BMC, with L.P. Lord as his deputy and Managing Director. Six months later, Lord Nuffield retired to become Honorary President of BMC, and L.P.Lord became Chairman. (L.P.Lord had been the Managing Director of Morris Motors Ltd. until he was obliged to resign in Aug 1936 for personal reasons. The pair, however, were soon together again as in Feb 1937, L.P.Lord agreed to administer a £7 million trust fund for Lord Nuffield to aid areas of high unemployment; a task he undertook for some 10 months. In Feb 1938, L.P.Lord joined the Austin Motor Co. Ltd. at Longbridge, Birmingham, as Works Director and became Chairman of that company in 1945). Ownership of The Morris Garages Ltd was passed to the Viscount Nuffield Auxilliary Trust. May L.P.Lord (by then Sir Leonard Lord) retired as Chairman of BMC and his place was taken by G.W.Harriman, who had started his career as an apprentice at Morris Engines Ltd in 1923. August W.R.Morris, the first and only Viscount Nuffield, died on 22nd August 1963, at the age of 85. July BMC took over the Pressed Steel Company of Cowley. July BMC merged with Jaguar Cars Ltd to form British Motor Holdings (BMH). January BMH and the Leyland Motor Corporation merged to form The British Leyland Motor Corporation (BLMC) with Sir Donald Stokes as Chairman. April Following a report for the British Government on its future, BLMC was split into four divisions: Leyland Cars, Leyland Truck and Bus, Leyland International and Leyland Special Products. 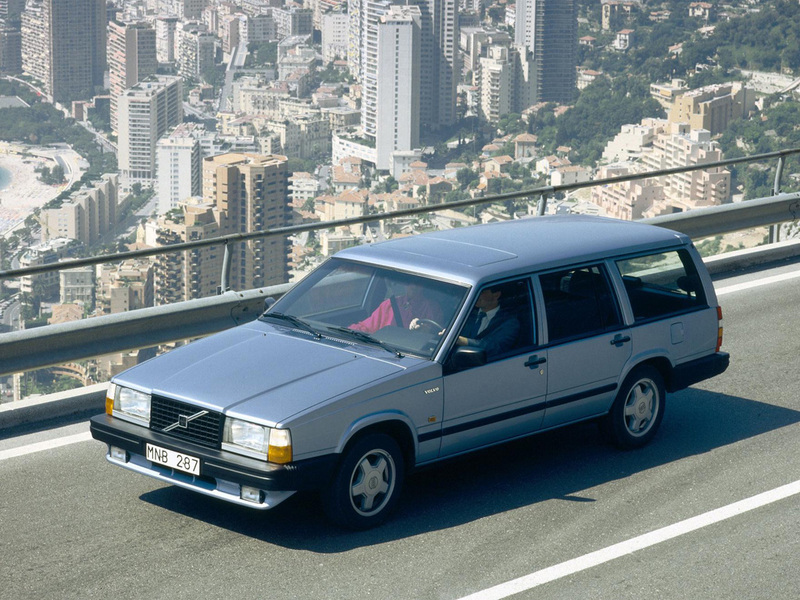 June BLMC ceased to exist and was renamed British Leyland in which the British Government held 99.8% of ther shares. December The last Morris vehicle was manufactured: a Morris Ital van, and the Morris marque became extinct. Data compiled by Peter Seymour. Been reading the Issigonis biography and was wondering if more information is available on the post-war 4-litre Morris Imperial project?